Why Choose the Double-Dip Trip? If you're looking for a full day of whitewater adventure, this trip is for you! 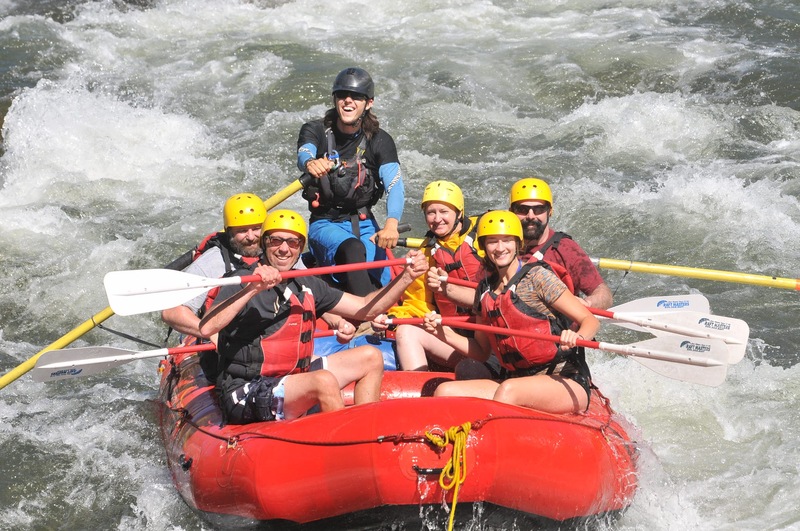 This action-packed rafting trip is perfect for the adrenaline seeker. Once is not enough? Double your thrills with our back-to-back trips through the Royal Gorge. Once you’re in the boat and heading down the Arkansas River, you will enjoy a short float where you can get to know your guide and practice your paddle strokes. Then the river narrows to only 25 feet wide and disappears into the 1100-foot gorge. You and your crew will navigate this adventurous trip famous for its steep drops, huge waves, and Class III to Class V rapids like Sunshine Falls, Sledge Hammer, and Boat Eater. Upon exiting the canyon, the water calms and you’ll pull off for a riverside lunch before heading back up the canyon to tackle the rapids again and it’s never the same trip twice! As you finish up the second part of the day, you’ll soon find yourself arriving in Cañon City and heading back on a very short bus ride to Raft Masters. You’ll have the opportunity to purchase souvenirs for your friends and family and view the action-packed photos taken of you and your group on the biggest rapid of your trip. Minimum of 4 to book. This trip is available for ages 14 and up. Please call our office if you have questions about this requirement. At Raft Masters, we will do everything possible to accomodate the needs of each guest. Please call our office at (719) 275-6645 if you have any questions or concerns.